Some pets live with so much pain that they eventually stop moving altogether, but we are here to help them get back on their feet. At Hoof 'n' Paw Animal Massage, we offer a variety of massage services to pet owners in the greater Denver/Boulder/Evergreen, Colorado metro areas, including canine and equine massage, cold laser therapy, acupressure and much more. Each of our treatments last approximately one hour, and when we are done, your pet is sure to feel amazing. Acupressure dates back more than 3,500 years, and it works for animals as well as people. 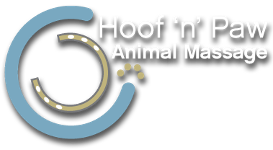 At Hoof 'n' Paw Animal Massage, we use acupressure for dogs and acupressure for horses in conjunction with massage. This keeps energy flowing throughout the body, and it is a fantastic preventative measure that keeps dogs and horses healthy and in balance. It also helps your animal deal with pain, aids in digestion, corrects hormonal issues, and eases allergic reactions. By focusing on the classic points and including the five elements of Chinese Medicine, we can address a wide variety of emotional, energy-based, and physical issues. 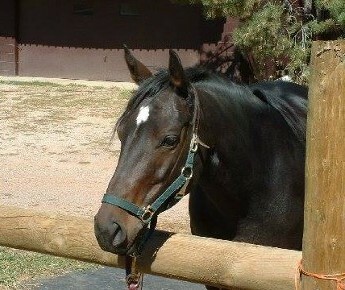 Contact Us For More Information About Our Acupressure For Dogs Or Acupressure For Horses Today!